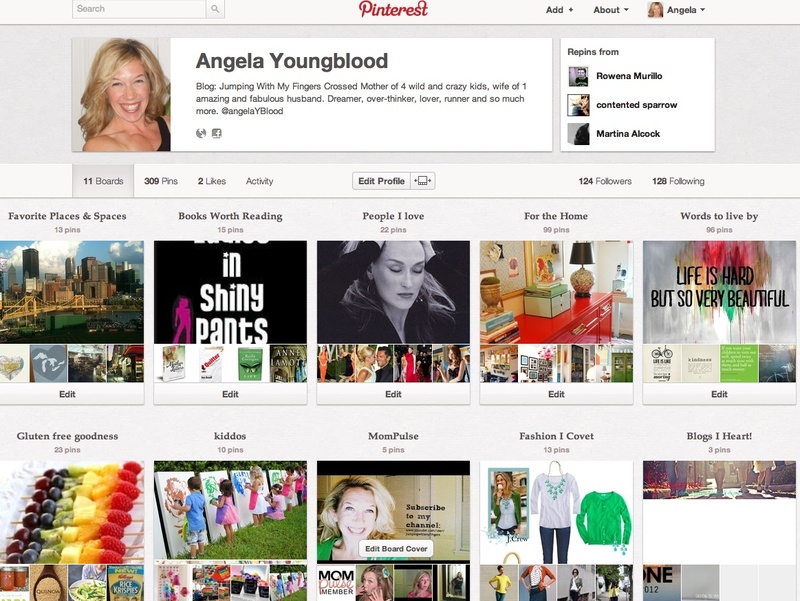 This week, I set out to do a project that was one of my highest re-pinned pictures. One of those, "it looks so easy" kind of projects. One of those, "who could screw that up type?" of projects. I'm talking nail art. Image via birchbox.com. Click here for nail tutorial. I must first explain that I am not a nail kind of girl. 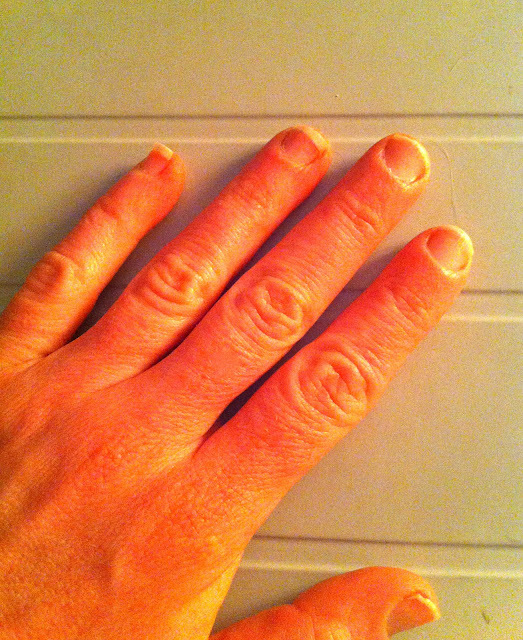 I've gotten two manicures in the last year, both were free. I rarely even paint my nails. Only for really special occasions--a date night and maybe a holiday party, which both happen about once a year. Okay, so there's my "I don't know much about nails" disclaimer. I might just feel the need to explain myself because this Pinterest project was a Pinterest fail. Whomp. Whomp. It started with this, man hands. I inherited two things from my father--an anything is possible attitude/work ethic and his hands. My sister got my mother's petite, delicate very womanly hands. Me? Let's just say a career in hand modeling will never be in my future. 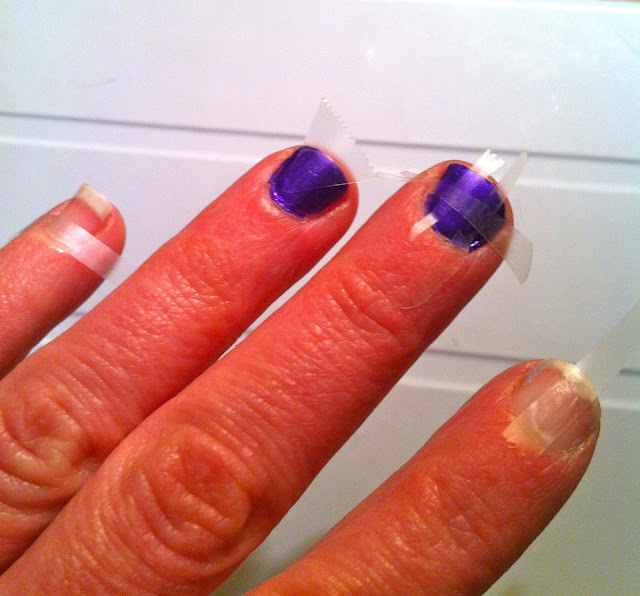 I picked my nail polish colors, got the Scotch tape and started painting and designing. And then this happened...yup, a fail. 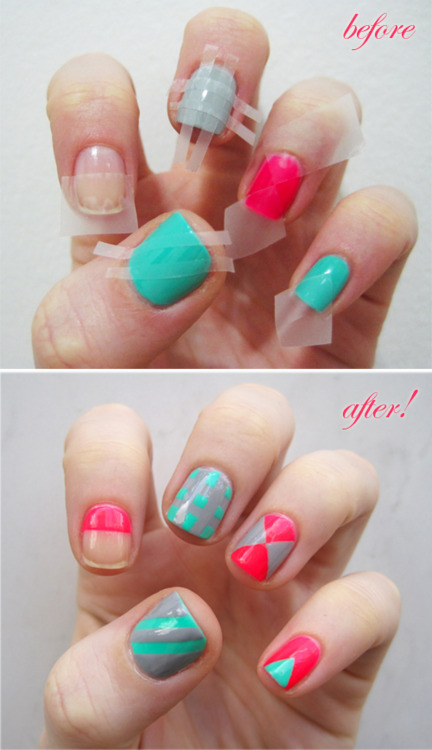 If you attempt to do this project at home, I would suggest using a high-quality nail polish. 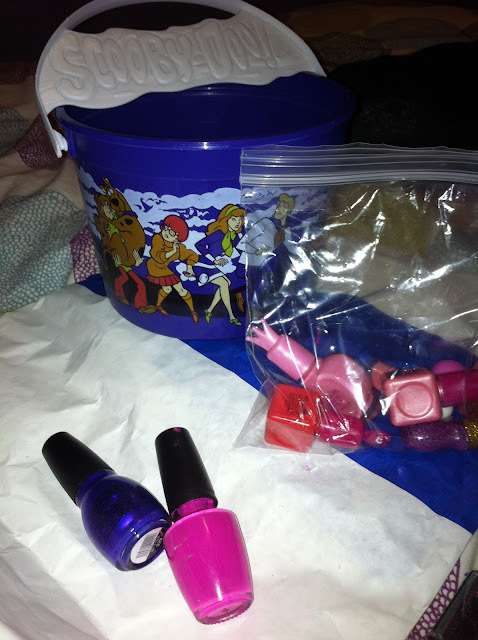 I grabbed my daughter's old Happy Meal bucket that holds all her nail polish. Her very cheap nail polish. Even the Mystery Gang looks afraid of how my nails turned out. So, in the words of the great Fred Armisen impersonating the great Joy Behar, "So what, who cares?" Not being a Pinterest Poser means taking a few risks and not being afraid to share my failures. And that's cool because it's just nails after all. Have you made something from Pinterest lately? Had any great successes? I love that you even tried! I see those pins and think, nope, no way I'm taking the time. ;) I mostly make food that I pin. Aw! I'm sorry, but I giggled a little. 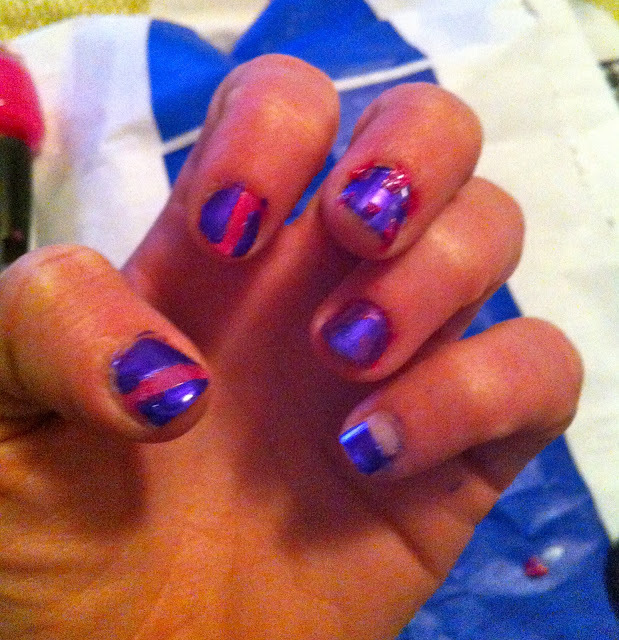 :D Nail art is HARD, yo! I don't even attempt it at home. But kudos to you for trying!